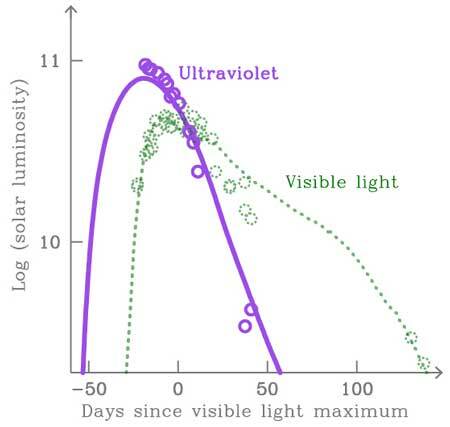 (Nanowerk News) An international team of researchers has discovered a way to use observations at ultraviolet (UV) wavelengths to uncover characteristics about superluminous supernovae previously impossible to determine, reports a new study published in Astrophysical Journal Letters ("Ultraviolet light curves of Gaia16apd in superluminous supernova models"). Figure 1: Ultraviolet and visible-light light curves of SLSN Gaia16apd (open cycles) are shown together with calculated light curves for shock-interacting supernova (solid lines, from the paper by Tolstov et al.). UV light of Gaia16apd is 3-4 times brighter than visible light. 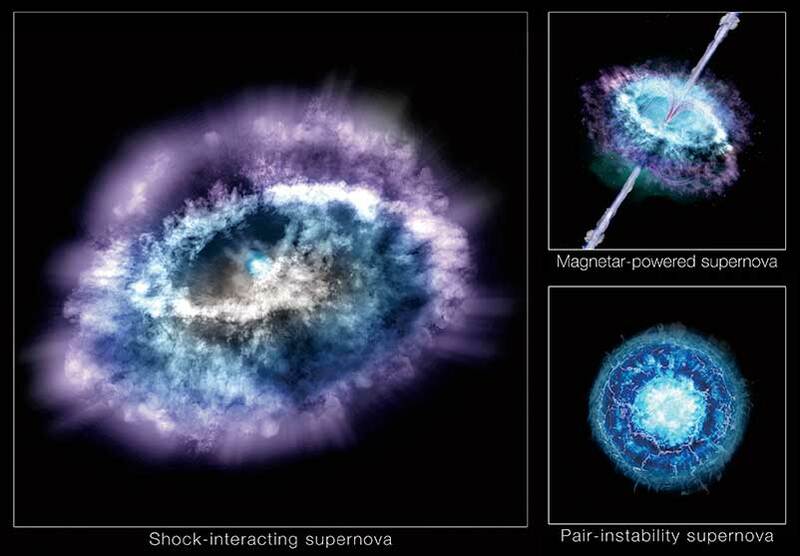 “The current study makes one more step to the understanding of the physics of superluminous supernova and helps to identify the scenario of the explosion. The observations and more detailed modeling of the peculiar objects similar to Gaia16apd are highly in demand to find out the nature of the phenomenon of superluminous supernovae,” said Tolstov.